CAPTION CONTEST: Can you do better? 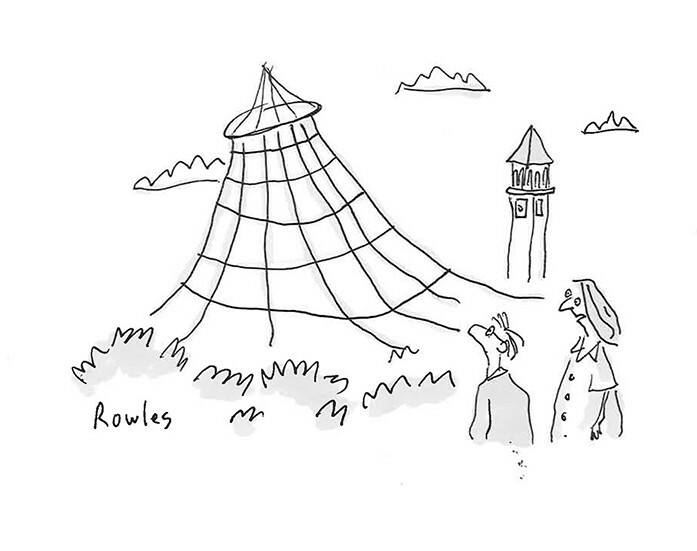 A local artist named Dave Rowles submitted a series of cartoons, many of them riffing on Spokane and the Inlander. In debuting this first one, we want to invite our readers to write captions of their own, using the space for comments below. Later this week, we'll share the caption Dave had on his cartoon, as well as our favorite submission from our reader, right back here at Bloglander.